This year’s Electronica was all about Hexiwear and click boards. 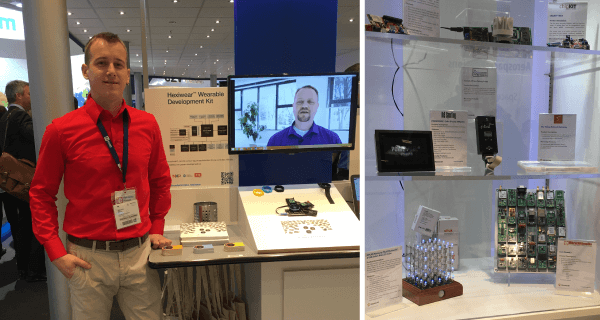 We’ve seen new mikroBUS™-compatible products from NXP, while other exhibition visitors had the chance to spot click boards on both Mouser’s and Microchip’s booths. NXP’s booth at this year’s Electronica had some interesting Hexiwear demos. 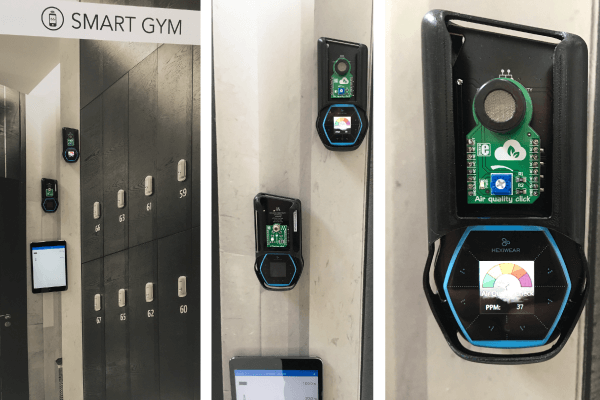 For example, look at this Smart Gym with Hexiwears monitoring the temperature and air quality. The setup features the miniature version of the Docking station on which we are still working on. It will be available soon. 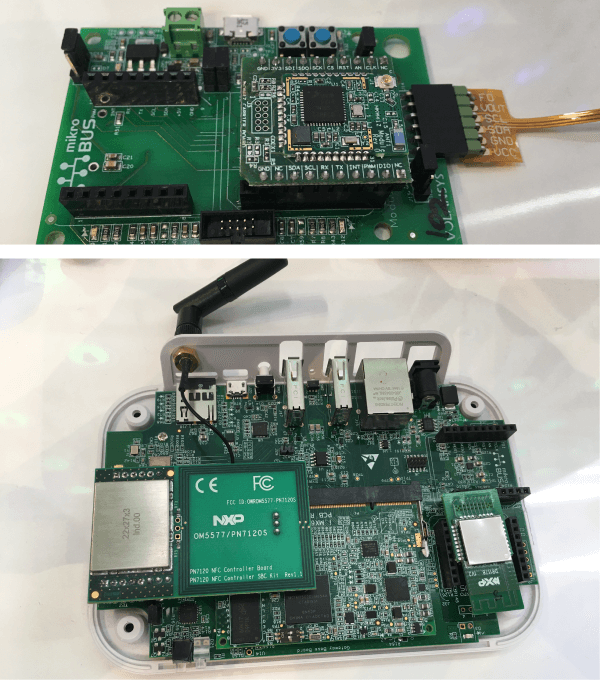 But NXP is not just about Hexiwear, they also have some new mikroBUS™-compatible boards to offer. 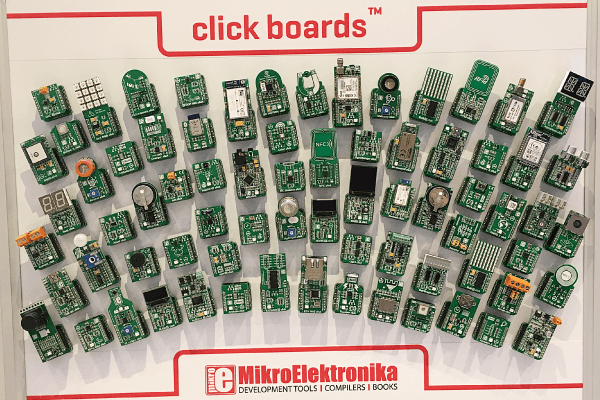 Over at Mouser’s booth there was a wide selection of click boards that can be used with all those mikroBUS™-compatible boards. Their stand also featured Hexiwear. Our technical support engineer Aleksandar was on duty as the host. Seems that our presence gets bigger and bigger from Fair to fair. It’s getting easier to spot our logo on any given occasion. 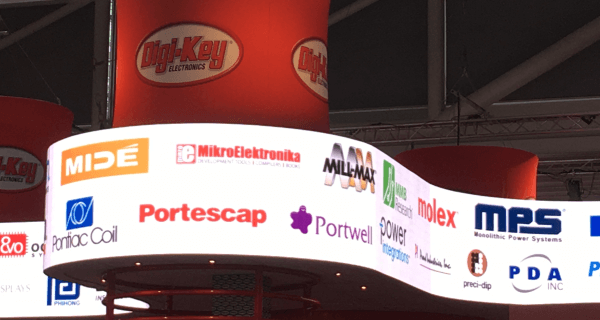 At this year’s Electronica, there was one on the big flexible display panel at Digi-keys booth. Looking forward to seeing you on the next Faire!